About sleep: good news for Chinese! The Cleveland Clinic tells us 22 strange and fascinating facts about sleep. If you want to cultivate your sleep, if you want to improve your sleep-competence and if you want to have arguments towards others to strengthen your way of sleeping, have a look! 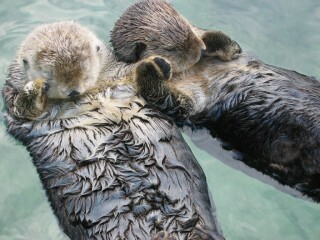 Sea otters hold hands when they are sleeping so they don’t drift away from each other. Statistics show that the extra-hour of sleep reduces accidents. Sleeping on the job is a minor problem in Japan. Companies may accept it as a sign of exhaustion from overwork.